I know, I know, another Samsung Galaxy SIII rumor. What other device do we have to look forward to though? Motorola is prepping their 12th rendition of the RAZR (that will be locked) and HTC is only interested in giving Verizon their 2nd tier phones in the Incredible 4G. Our last hope for this first half of 2012, is the SGS3. And this latest rumor that involves it, would be awesome if it ends up being true. 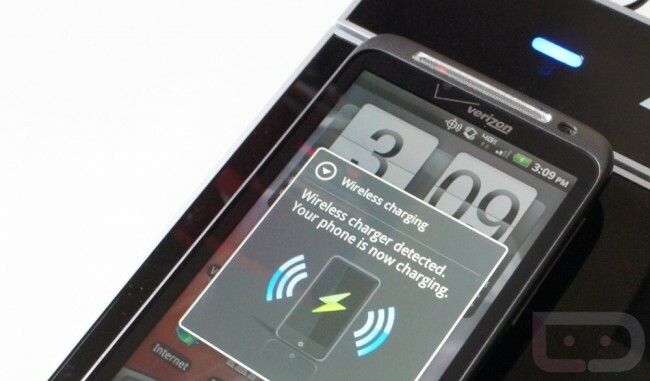 Would you be interested in wireless charging of your Galaxy SIII? No, we aren’t just talking about the Qi or inductive charging that you are seeing in the picture above, we are talking about having a charging module of sorts on your desk and you being able to set your phone anywhere within 2 meters of it while still filling up the tank. Rumor has it that Samsung has created their own tech that will allow exactly that to happen and may have include it inside the next-gen Galaxy phone. I don’t know about you, but wireless charging is something that should have been built into phones long ago. I understand that companies need to make money and that selling a separate Qi back to a phone is the way to do it, but it’s 2012, meaning this should have become standard already. Days of searching your desk or kitchen or bedroom for a cord should have been out the door long ago.